At Pure Aesthetics we offer an extensive range of both surgical and non-surgical cosmetic and reconstructive procedures, including breast augmentation, breast lifts, breast reductions, facial rejuvenation (facelift, eyelid and brow lift), rhinoplasty, tummy tuck, and reconstructive plastic surgery. Pure Aesthetic’s medical director and owner, Dr. Steve Merten, is a highly skilled and ethical specialist plastic surgeon and is comprehensively experienced in a variety of body contouring, facial rejuvenation and breast enhancement procedures. We utilise the most advanced techniques in the field, and strive to meet your expectations with high-quality results. Our goal is to give you the safest and most effective treatment possible. Contact us at Pure Aesthetics, to enhance your appearance and feel great about the way you look. We invite you to schedule a consultation with one of our team members at Pure Aesthetics. A highly respected, ethical and experienced plastic surgeon. A recognised leader in the field of reconstructive and cosmetic plastic surgery, Dr Steve Merten is a fully qualified plastic surgeon, trained under the esteemed Royal Australian College of Surgeons, and has helped patients from all over the world achieve their goals with beautiful and natural-looking results. Creating aesthetic outcomes through advanced surgical techniques. Dr Robert Knight is a cosmetic and reconstructive plastic surgeon who performs procedures ranging from rhinoplasty and brow lift surgery to labiaplasty and breast augmentation. Utilising his years of extensive training both locally and overseas, Dr Knight helps make our patients’ aesthetic goals a reality. Committed to helping patients achieve the best aesthetic results. Dr Justine O’Hara is experienced in all areas of cosmetic, plastic, and reconstructive surgery. She performs a wide range of procedures, including breast surgery, labiaplasty, the comprehensive mummy makeover, eyelid lift surgery, and anti-wrinkle injections. Helping patients feel comfortable and beautiful in their own skin. 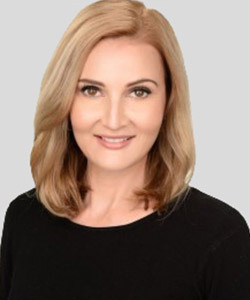 Dr Noela Ferch is an anaesthetist primarily; however, she also has a passion for cosmetic medicine—such as dermal fillers—at Pure Aesthetics. With the combination of her medical training and natural artistic abilities, Dr Ferch is able to provide the most natural-looking results with improved accuracy. Tailoring advanced skin care treatments for optimal rejuvenation. Dr. Helen Maloof offers rejuvenative services like dermal fillers, anti-wrinkle injections, chemical peels, and face masks. By combining her artistic eye and advanced skill, Dr Maloof is able to provide highly personalized and effective treatment plans. Our friendly staff strives to make you feel comfortable from the moment you walk in the door. With extensive experience in their respective fields, our knowledgeable team members are happy to answer any questions you may have. A recognised leader in the field of reconstructive and cosmetic plastic surgery, Dr. Steve Merten is a fully qualified plastic surgeon, trained under the esteemed Royal Australian College of Surgeons, and has helped patients from all over the world achieve their goals with beautiful and natural-looking results. Dr Noela Ferch is an anaesthetist primarily; however, she also has a passion for cosmetic medicine—such as dermal fillers—at Pure Aesthetics. With the combination of her medical training and natural artistic abilities, Dr. Ferch is able to provide the most natural-looking results with improved accuracy. CLATUU Fat Freezing Vs Liposuction: Which is Best for You? See the NEW YOU Before Your Procedure! Preview your new shape and size with the Crisalix 3D simulation software.